The New Hampton Chickasaw boys basketball team will be at home tonight for their Northeast Iowa Conference game against Decorah. The Chickasaw boys come into tonight’s game with an overall record of 6-9 and they are 1-7 in the NEIC while the Decorah boys are 6-9 and 4-4. You can tune into the boys game tonight right here on 951 The Bull starting with a pre-game at about 7:30 and tipoff will be around 7:45. The New Hampton Chickasaw girls basketball team will be in Decorah tonight for their Northeast Iowa Conference match-up with the Vikings. The New Hampton girls are 9-8 overall this season and their NEIC record is 4-5 while the Viking girls are 6-11 and 3-6. This game will tip-off at about 7:30. The New Hampton Chickasaw wrestling team will be in Waverly tomorrow taking part in the Northeast Iowa Conference tournament. You can tune into complete coverage of the NEIC tournament tomorrow right here on 951 The Bull starting with a pre-meet at about 9:45 with wrestling to begin at 10am. The Osage Green Devil girls and boys basketball teams will be at home tonight for their Top of Iowa Conference games against Nashua-Plainfield. The fifth-ranked Green Devil girls are undefeated this season and come in with an overall record of 16-0 and they are 12-0 in conference games while the Nashua girls are 2-15 and 1-12. The Osage boys are 11-5 overall and their conference record is 10-2 while the Husky boys are 9-7 and 7-6. The girls game will begin at around 6:15 and the boys game will get started at around 7:30. The Sumner-Fredericksburg Cougar girls and boys basketball teams will be in Waterloo tonight for a North Iowa Cedar League double-header against Columbus. The Sumner-Fred girls are 13-2 overall this season and they are 11-2 in the NICL while the Columbus girls are 4-11 and 2-9. The Cougar boys are 1-12 overall this season and they are 1-11 in the NICL. The girls game will tip-off first at about 6:15 and the boys game will follow. 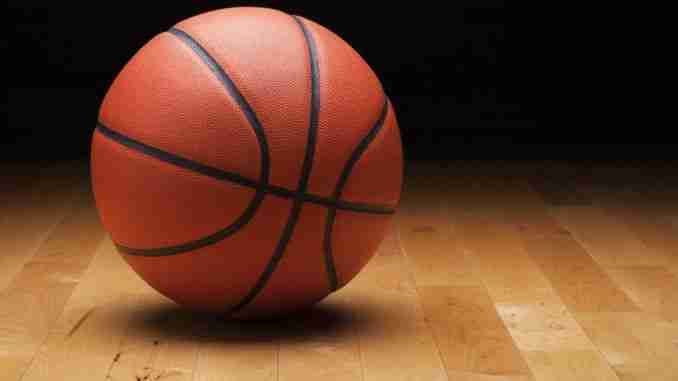 The Turkey Valley Trojan girls and boys basketball teams will play in non conference action tomorrow at Riceville. The Trojan girls are 10-8 overall while the Riceville girls are 3-12. The Turkey Valley boys will enter tomorrow’s contest with a 13-3 record and the Wildcat boys are 4-11. The girls game will tip-off at about 4pm and the boys will get their game started at around 5:30.